Faihaa school, built in 1952, is located in Basra's old city. There are 670 students learning in this school for only 4 functioning latrines. The taps in the school only provide water sporadically throughout the day from 3 poorly maintained water tanks. Several cases of water-borne diseases have been reported already during the first week of school and many more are expected if the water and sanitation infrastructure is not rehabilitated urgently. 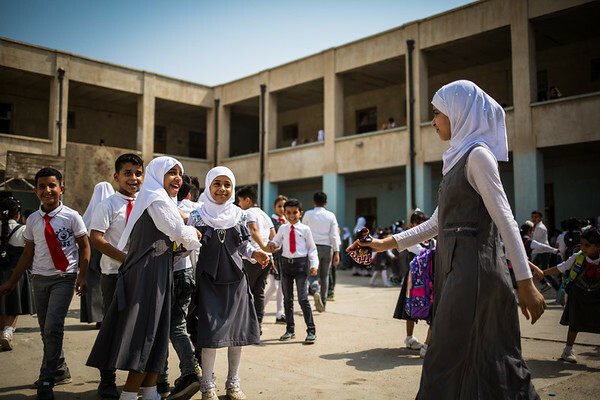 This school reflects the situation of more than 800 schools in Basra, severely impacted by the water crisis. Children cannot use the toilet nor drink clean and safe water. This proximity of children increases the transmission risk of water-borne diseases such as diarrhea and cholera. The spread of water-borne diseases could lead to irregular school attendance, and potentially school dropouts. Children affected by this, but who remain in school, are often fatigued, resulting in lower levels of concentration and a reduced ability to learn. With the start of the academic year, the proximity of children in schools makes the risk of contamination much higher and the number of hospitalization will jump.